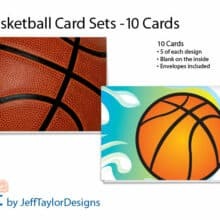 Looking at this Basketball Stationery Notecard Set I’m hoping will inspire and find us with a motivating Monday morning! The timing is great for combining letter writing stationery with the theme of basketball – especially given the 2019 NCAA March Madness is beginning tomorrow. With March Madness beginning tomorrow and running through Monday, April 8, 2019, there is time for ordering the set of stationery and to enjoy writing letters and sending during the tournament! 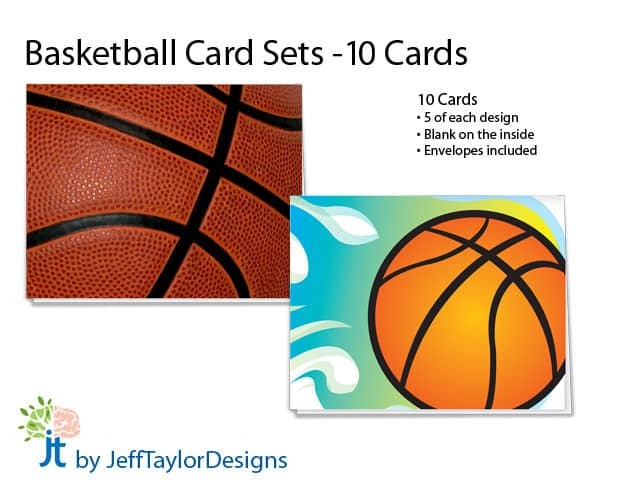 The Etsy Shop jefftaylordesigns is listing the Basketball Stationery Notecard set for $11. When looking at ordering a set to send to me here in North Carolina it is showing $2 for the shipping rate. There are 5 cards of each design. Good luck with your bracket selections! Before closing today’s post, I’m including this calendar perspective. The month of March is halfway over and two weeks from today we begin the month of April. There are two more weeks for closing out the month and first quarter of 2019! See you tomorrow – in the meantime, Good Luck with your brackets! P.S. The AnchoredScraps daily blog post countdown to 1500 continues with today being #1482!